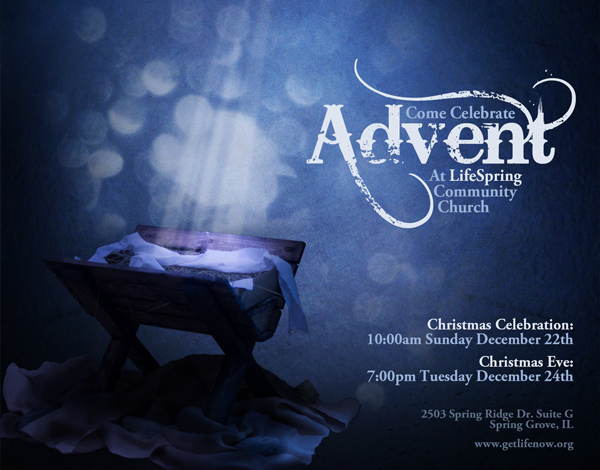 This project was to create an image for Advent at LifeSpring Community Church. 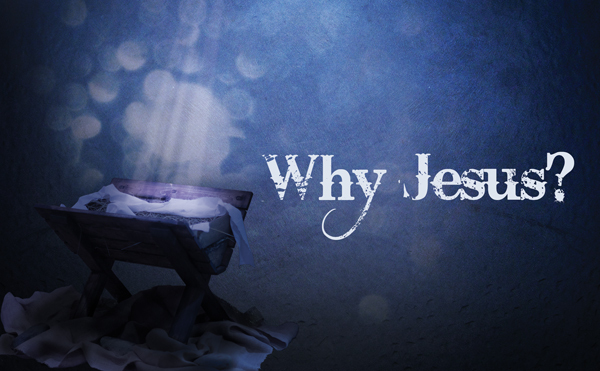 The finished image is to be used for projection, for a printed postcard, on social media, and for the sermon image. 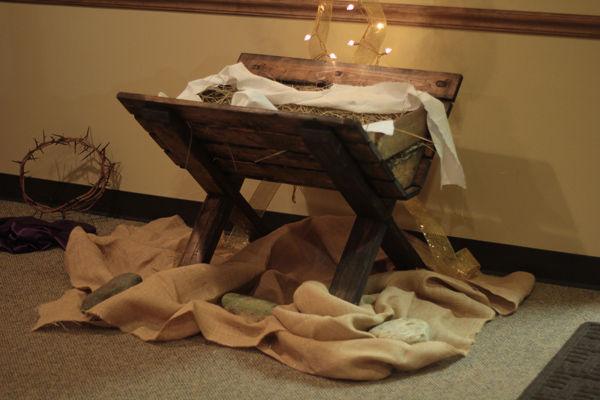 A member of LifeSpring built a manger for the Advent season which was displayed in the foyer. 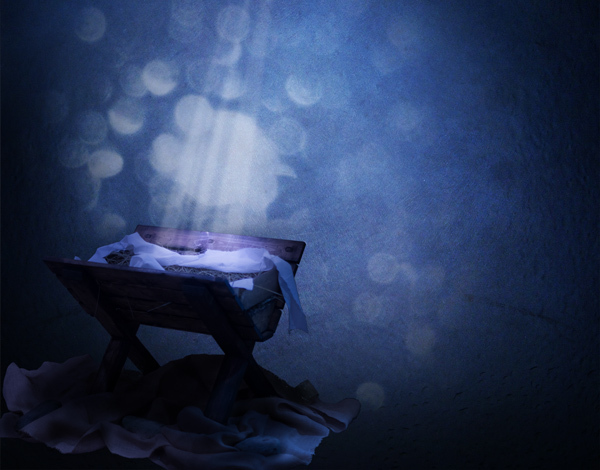 I saw an opportunity to connect the imagery for the print and projection graphics with the physical display of the manger. 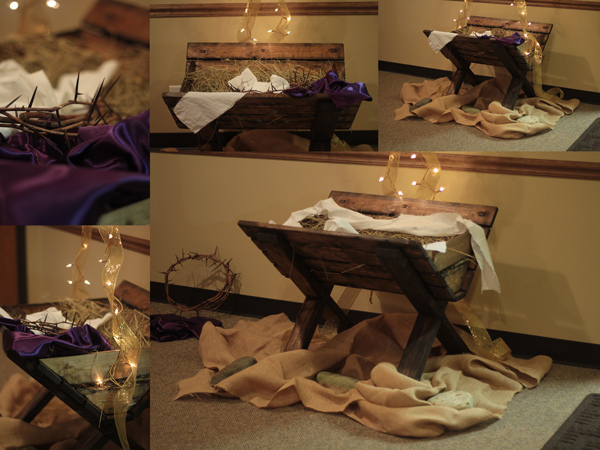 I began by taking a variety of photographs of the manger, experimenting with the depth of field, multiple framings, and arrangements. I let the images guide my creative process, choosing to go with a wide framing in order to open up space for text and lighting effects. I edited the color of the image to give it a cool blue showing night time, and connecting with the winter season. 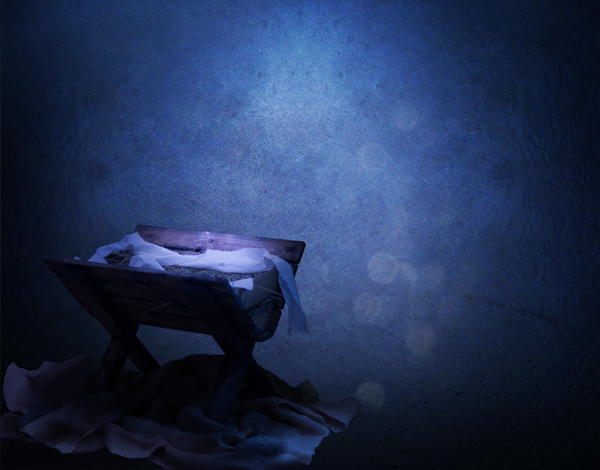 To give the manger a glowing effect I combined three exposures. Once the image was finished as I had envisioned it, I added text and created variations for each specific use.